The documentation available in the following list is a compilation of material produced by the TAKIWASI Center during its years of research. These testimonies have been collected by Swiatoslaw Wojtkowiak in June 2017 and published on his blog http://blog.swiatoslaw.com/?cat=449 with the authorization of the people involved. I see this plant (ayahuasca) as a source of knowledge, both about myself, my personal issues, as well as for my professional life, for work with others as psychotherapist. It also performs well as a supervisor in my relations with patients – it shows me things about it I wouldn’t be able to notice otherwise. Published in Horticulture International Journal, Volume 2 Issue 3, pp. 69‒71, May 2018. The Center for Drug Addiction Treatment and Research on Traditional Medicines – Takiwasi, is a 25 years’ Non-Governmental-Organization (NGO) specialized in the treatment of drug addiction and mental health disorders based on modern psychotherapy and biomedical approach, as well as the use of herbal Traditional Amazonian Medicine (TAM). Part of this latter therapeutic resources are obtained directly from the Medicinal Plants Botanical Garden of the Center, which represents therefore one of the core activity of Takiwasi. This garden currently counts more than 80 medicinal plant species representative of local medical traditions, holding different indication of use including depurative, relaxing and visionary ones. In the small haven of the High Peruvian Amazon where I have lived for almost 20 years, I am seeing a growing wave of Westerners eager to approach the practices of traditional Amazonian medicine. Having myself been one of the initiators of this movement, I cannot help but oscillate between satisfaction and fear in the face of this enthusiasm for what is now known as "shamanism"; a very inappropriate term from an anthropological perspective. Originally published in French by the “Institut Français d’Etudes Andines” – Lima, Perú, 1988. Translated to English by Kenreth A. Symington. The author presents the setting and conditions for the “production” of hallucinations during traditional therapy involving the use of Ayahuasca liana, which has psychotropic effects. The presentation is based on the author’s self-experimentation carried out with curanderos of the Peruvian upper amazon region. He attempts to find some constants which would permit characterization of the consecutive hallucinations caused by ingesting ayahuasca. He then proposes meditation on the “vision” achieved through these practices. He defines the criteria which, according to him, make these modifications of the conscious state worthy of interest, particularly from the therapeutic point of view. Translate from French by Kenneth A. Symington. English version published by Takiwasi Center in its Website. Original publication information is as follows : MABIT Jacques, "L'ayahuasca au secour des drogués", in: Revue Nouvelles Clés, Nº2, été 1994, pp.45-47, France. In a mission to Peru, medical doctor Jacques Mabit discovers shamanic medicine. Impressed by the expertise of indigenous peoples on the subject of plants, he asks to be initiated. Today, he manages a Center in the Amazon with the help of shamans; he heals drug addicts with the use of a psychoactive preparation. It is not a substitute for a conventional medicine, but a tool of another type of medicine./n My experience in Peru during three years (1980-1983), as part of the “Doctors without Frontiers” program, convinced me of one thing: the healers know how to treat cases resistant to conventional medicine. My return to France reminded me of our relative powerlessness, especially in the areas of psychopathology and drug addiction, I then made the decision to more closely explore these therapeutic procedures, within the structure of a research project in medical anthropology. The discourse of shamans and healers soon revealed itself to be a difficult hurdle. “Who teaches you? --The plants, how do they teach you their knowledge? -- B y means of dreams or through altered states of consciousness produced b y ritual ingestion of psychotropic, non-addictive vegetable substances.” Is it possible that all this is true, in a controlled environment, subject to verification? Conversations with healers invariably ended with the question: “And I, a Western doctor, can I learn as well? ---Yes, the plants can teach you as well, if you love and respect them and ingest them strictly following the rules (diets, fasts, isolation in the forest, sexual abstinence, etc.) They will then come to you and speak to you; it is the only way to learn”. Published in the book “Psychedelic Medicine (Vol. 2): New Evidence for Hallucinogic Substances as Treatments” (2007). Ayahuasca is a mixture of a least two psychoactive South American plants: the liana ayahuasca (Banisteriopsis caapi) which gives its name to the beverage; and the leaves of chacruna (Psychotria viridis). The ayahuasca beverage constitutes a unique preparation because of its pharmacological action in which the beta-carboline alkaloids of Banisteriopsis caapi, playing the role of MAO inhibitors, enable the visionary effects of the tryptamine alkaloids found in Psychotria viridis. This specific symbiotic action, which modern science identified just a few decades ago, has been empirically known for at least 3000 years by the Indigenous groups of the western Amazon, according to archaeological evidence (Naranjo P., 1983). This simple fact deserves our attention because it reveals the extraordinary investigative potential of these ethnic groups, based on the compilation of information from the subjective perspective, which challenges our conventional western approach that tends towards exclusive objectivity with a rational focus. In other words, the psychotherapeutic discoveries of these Amazonian Indigenous peoples are not the result of mere chance or erratic investigation following the trial and error approach (Narby 1998). It is significant that both families of alkaloids of ayahuasca are also present in our bodies (Strassman 2001) and affect the serotonergic system, which suggests the existence of a natural, endogenous ayahuasca (Metzner et al 1999). Human use of use ayahuasca does not, therefore, constitute an external agent that could violate our physiology, but rather, it appeals to natural neuro-pharmacological processes, empowering them in ways that amplify their normal functionsi. J Psychoactive Drugs, Volume 47 (Issue 5), 351-9, Nov-Dec 2015. Ayahuasca continues to attract tourists to South America, where there has been a growth in the number of centers offering hallucinogenic ayahuasca experiences. The aims of this study were to (1) discover the reasons foreigners seek this type of experience; (2) define what an ayahuasca experience entails; (3) discover subjective perceptions of ayahuasca's benefits and risks; and (4) describe personality styles of participants using the personality questionnaire (PSSI). Participants were persons who had travelled to South America to use ayahuasca. Among the most frequent motivations were curiosity, desire to treat mental health problems, need for self-knowledge, interest in psychedelic medicine, spiritual development, and finding direction in life. Inaugural Conference for the 25th Anniversary of the Society for the Anthropology of Consciousness, April 15, 2005, University of Massachusetts, USA. Translated in December 2011, to English from Spanish by Abby Corbett. My presence here is not due to the fact that I am a great scientist, neurophysiologic specialist, nor a distinguished philosopher of consciousness, rather, I believe, due to the fact that I can testify to the common experience of the auto-exploration of consciousness and its therapeutic applications. And this illustrates from the start the current situation of the contemporary debate revolving around the phenomenon of consciousness: the implicit acceptance or intuition that we should pass from a discourse "about" the consciousness to a direct experimentation of it and its modifications. Of course I am a doctor, a specialist in natural medicine from the University of Paris, a specialist in Tropical Pathology in Antwerp (Belgium), an associate professor at the Scientific University of the South in Lima, but these titles alone are not the reasons for, but rather the fact that with them, or in spite of them, I personally went into the practice of Amazonian shamanism. And from there I extracted a therapeutic application, through the elaboration of an attention protocol, to patients with addictions. In other words, I dared to cross certain borders, cultural, mental, and scientific, for various circumstances of my life and there is a feeling that this position “between-borders” is globalizing for many Westerners called to cross a similar threshold in their search, to take on a qualitative jump in the venture of their life. So today I find myself a Westerner who directs other Westerners to testify to personal experience and to reflect on the basis of that experience. Allow me, therefore, to part from the formalities of academia in order to simply share my thoughts on a language that is not only linear and rational, but also analogical and metaphorical. Interview published in April 2018 in Spanish on two occasions: in Le Monde Diplomatique (Chilean edition) and in Sitiocero. Translated to English by Jonathan Rodriguez. At Takiwasi, an international and multidisciplinary team of allopathic doctors, psychologists, curanderos , and scientific investigators seeking knowledge about plants known as “master plants” comes together. The a priori diagnosis is that the use and abuse of drugs in adolescents expresses a search for meaning, a search for personal abundance that is oriented in the wrong direction. This search, especially within a society where personal meaning and spiritual wholeness is lacking can eventually lead to drug addiction. The antidote is the use of these “master plants”, along with psychotherapy, community living, and rigor. Along with these plants, the Ayahuasca potion serves as a cornerstone of the treatment at Takiwasi. Ayahuasca works through dreams, visions, and regressions that open what Carl Jung referred to as, “the inner voice”. Extract from the expert witness report made for the Manto Wasi case and orally presented to the Court in Santiago de Chile, 2012 Translated from the Spanish by Kenneth A. Symington. At this time, let us remember that the human body secretes its own "endo-ayahuasca", and therefore ingestion of ayahuasca only reproduces a natural mechanism of human physiology./n The usual scientific nomenclature categorizes ayahuasca as a "hallucinogenic" preparation.. This typology derives from the beginning of the XXth. century and continues by tradition, even though it does not correspond to an objective reality. Hallucination refers to an erroneous perception of reality, leading the subject to perceive things that do not exist. This definition assumes that only one objective, material, and perceivable reality exists. Advances in science, especially in quantum physics, have demonstrated that no reality exists independently of the observer, and when consciousness functions in a quantic manner, subjectivity imposes itself, leading each subject to interact with reality in such a way that there are as many ways of perceiving reality as there are human subjects. Theories in these disciplines consider the possibility of many realities, or levels of reality, as well as the possible existence of parallel universes. Published in Horticulture International Journal 3(2):41-44, March 2019. Born as a center for the treatment of addiction and mental health and for the research on traditional Amazonian medicine, the Takiwasi Center, located in the Peruvian high-Amazon, over more than 25 years of existence has developed a series of parallel activities focused on the conservation of the environment and the recovery and promotion of Amazonian medicinal flora and of the indigenous knowledge related to it, within the general frame of “planetary health”. In this context, an on-site Botanical Garden has been created with a linked plant nursery that produces timber and medicinal species that are later transplanted into the Botanical Reserve of the center, an area of 54 hectares located within the borders of the San Martin Regional Conservation Area “Cordillera Escalera”. In this sector, in addition to a project of reforestation and conservation of the species of the Amazonian flora with a focus on medicinal plants, therapeutic activities are also performed such as the so-called traditional dietas, which offer participants a space of contact and reconnection with nature and with their inner self, to be able to work on certain psychological or emotional problems. For the future, the will of the center is to integrate the Botanical Reserve into an ecotourism route to be developed and managed in coordination with other local associations dedicated to biodiversity conservation. The strategic importance of the Botanical Reserve can then be observed, serving both for therapeutic purposes, for the conservation of local endangered biodiversity, and for the promotion of sustainable development alternatives such as ecotourism, that at the same time take into account, protect and promote the cultural richness of the region derived from indigenous ancestral knowledge. Published by the “Multidisciplinary Association for Psychedelic Studies” (MAPS), Vol XII, Nº2, summer 2002, pp. 25-32, Sarasota, USA. Translated from French by Kartina Amin. Ancestral medical practices are based on a highly sophisticated practical knowledge and, in contrast to the clumsiness with which Western peoples induce altered states of consciousness, view the controlled induction of non-ordinary states of consciousness as potentially beneficial, even in the treatment of the modern phenomena of drug addiction. Drawing from his clinical experience in the High Peruvian Amazonian forest, the author describes the therapeutic benefits of the wise use of medicinal plants, including non-addictive psychoactive preparations, such as the famous Ayahuasca tea. Within an institutional structure, a therapeutic system combining indigenous practices with contemporary psychotherapy yields highly encouraging results (positive in 2/3 of the patients). This invites us to reconsider convention approaches to drug addiction and the role of the individual’s spiritual journey in recovery. Interview with Dr. Jacques Mabit. Originally published in Spanish in Unay Runa nº9, Revista de Ciencias Sociales, Yachay, saberes andino-amazónicos, Lima, 2018, pp. 187-213. English translation: Fabio Friso. Bridges exist, the human being is one of them, the truth is one of them and there are doors behind the objective world. Scientific objectivity seems to contradict indigenous subjectivity, but the latter has been able to access fine knowledge and produce very sophisticated concrete applications long before Western science... which was very much inspired by it. Coca and Ayahuasca: same destiny? Published in June 2018 in the blog of the collective of researchers and activists Drogas, Política y Cultura and based on the lecture delivered at the II World Ayahuasca Conference, Río Branco, Brazil, October 2016. While Peru built the magnificent Inca civilization aided by the wisdom provided by the Coca leaf, it later became the first producer of toxic derivatives of this profaned plant. On the other hand, the healing use of Ayahuasca was discovered a few decades ago and in a short time its use exploded all over the world. What did the use of Coca in Western world respond to and what does the use of Ayahuasca respond to today? 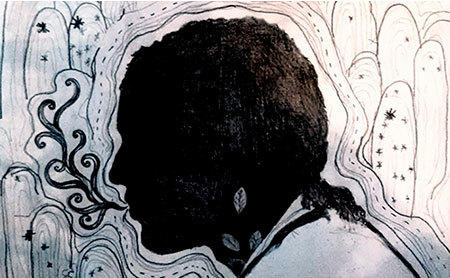 What can the path followed with Coca teach us in relation to the use of Ayahuasca? Will the accelerated desacralization of this medicine reach the same extremes as the misuse of Coca? In an attempt to improve existing treatment options, some research has therefore explored alternative or traditional healing practices for SUDs, in a parallel way as such therapies are often used for somatic chronic diseases, like cancer. Specifically traditional Amazonian medicine, an ancient healing system involving the use of medicinal plants and ritual techniques from the Amazon rainforest, ought to be investigated. Published in the “Journal of Research on Contemporary Society”, 2014. v. 1, no. 1, p. 21--27. San Martín region is among the locations with the highest production of cocaine and cocaine paste in the Upper Amazon. Since 1992 the Takiwasi Center has been operating in Tarapoto, the economic center of the region. The Center is focusing on the treatment of patients addicted to these drugs by traditional indigenous medicine combined with psychotherapy. During nine months long rehabilitation program, the patients ritually drink plant extracts, intended for detoxification of organism and addiction treatment. One of them is purgahuasca, an extract from the liana Banisteriopsis caapi, which represents the traditional component of the Awajún tribe indigenous medicine. This plant extract, previously used in rites of passage, thus became a compact part of the rehabilitation program for drug addicts. The paper deals with the description of purgahuasca use in the Peruvian history, contains detail analysis of the purgahuasca rite, and includes a reflection of effects produced by the extract written down in the internal reports of Takiwasi patients and an assessment of the significance of the purgahuasca rite in the wider cultural context. Conference presented in the Congress “Medicinas Tradicionales, Interculturalidad y Salud Mental”, Tarapoto, 2009 and published in the memory book. Original title “Fe y Ayahuasca (Cómo hablar de mi fe en Dios desde mi experiencia con las plantas)”. Translated in July 2017 from Spanish to English by Valeria Paz Villegas. Article based on the lecture delivered at the VII Forum of the Inter-American Council on Indigenous Spirituality (CISEI), held in November 2012 in Buenos Aires, Argentina. Published in Spanish in “Foros Internacionales Espiritualidad Indígena y Mundo Occidental Perú 2015”, Apud Jacques Mabit & Ilana Berlowitz, Takiwasi Ed., Lima 2017, section 1, pp. 183-190. English Translation: Fabio Friso. In the Andean-Amazonian worldview, lack of harmony is seen as the origin of evil, and the cold-heat imbalance is very present. People get sick from lack of heat, that is, from cold, or from excessive heat, and each case produces different symptoms and characteristics. This conception of cold-heat is not exclusive to the Amazonian worldview. It is present in many other ancestral cultures, such as Chinese, Indo-European or Arab medicine, probably arising from the observation of nature and perhaps introduced into Latin America by the Spanish, who brought with them their medieval medicinal systems. Lecture delivered in French as part of the 2011-2012 series of lectures IdéesPsy, Series: Cries and whisperings of the soul, Paris, May 2, 2012. Translated to English by Fabio Friso. The exploration of our inner being often refers us to this apparent opposition between the material world of manifestation and the invisible world of principles, between what cries in us and what the soul whispers. For the "ways of God are high above ours" (Is 55,6-9.) and undoubtedly the object of this inner quest consists in overcoming this separation between the world from above and from below, so that the will of the Father can be applied here below as it already applies up there. Thus, we proclaim to be loved while our soul whispers "love"; we cry to be recognized while it whispers "recognize the other and the All-Other". The initiations of the first peoples, in their extreme experiences, lead the individual to surrender to his humanity and join this intimate place where he becomes a being "with broken hearts and minds". We then see, when man touches his own misery, a spontaneous springing up and overflowing from the body of the essence of the soul that asks for forgiveness and gives thanks. Never have contrition and gratitude appeared to me so authentic, as manifestations of memory incarnated in the depths of the body. For like Elijah (1 Kings 19: 9-21), man meets God not in the mad hurricane of his fantasies, the seismic jolts of his frenzy, or the devouring fire of his passions, but, in the midst of silence, in the light breath of an inner breeze. Article published on Chacruna.net, September 27, 2018. Within the Amazonian traditional medicine, teacher plants are considered living beings able to transmit knowledge, once consumed within the specific rituals like the dieta. 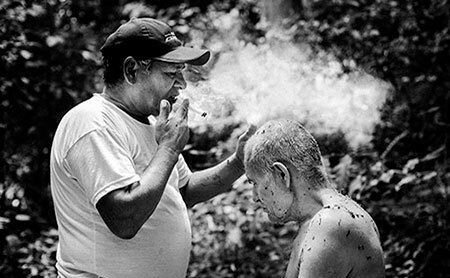 Such ritual technique has been used as a therapeutic tool for over 25 years in the Takiwasi Center as part of the addiction treatment protocol. The several dietas that patients undertake during their inpatient care are crucial for the success of the treatment. April 2007 – InterCulture No. 152 - Identity and Religious Pluralism - pages 25-45. The following words were spoken to me in French during an interview I conducted with Dr. Mabit on January 23, 2007/n I told Dr. Mabit that I had awakened interest in the editorial team of InterCulture for his practice of an ayahuasca ritual where Christianity and indigenous spirituality were blended and enriched each other. I explained that we wished to publish his words in this issue on religious pluralism. I also reminded him of my own spiritual experience with ayahuasca at Takiwasi. I translated his words into English. Marijuana (Cannabis Sativa) has become in our days a constant theme of debate, therefore it perfectly symbolizes the conflict between the supporters of the total liberalization of consumption of psychoactive substances in one hand, and on the other, the opponents of any tolerance towards them. These systematic postions obligate us to choose between these two ¨closed¨ options: the first, modestly wraps itself in the cloak of tolerance, liberty and a pseudo ¨angelical¨ approach to the ¨herb¨; the second one, demonizes all induced modified states of consciousness and with horror, mentions the bloodcurdling numbers of drug addicts in the world. Whomever brings this subject up, risksbecoming an executioner sent by the “establishment” to sustain moral order, or an irresponsible person, heir to hippies, completely unable to face and deal with the challenges of the modern world. Lecture first presented in French with the title “Les cent jours de l’Ayahuasca” during the Congress “Medicinas Tradicionales, Interculturalidad y Salud Mental”, Tarapoto, Perú, 2009. English version published in the book “The Internationalization of Ayahuasca” Beatriz C. Labate and Henrik Jungaberle, eds. Zurich Switzerland, Lit Verlag, 2011, 446 pp. This article is about how ayahuasca came to be known in France and the meeting points of historical, social, medical, psychological contexts that are surrounding its use on the legal as well as on the ethical levels. The question is why the use of ayahuasca that after all concerns only a minute part of the French population leads to so much effects and controversies. We will explain the interaction of all those contexts. Journal of Medicinal Herbs and Ethnomedicine, Vol 5, 2019. Research on traditional processing methods used to transform plants into medicines offers a valuable arena to investigate the correct formulation of herbal products. While scientific literature on traditional herbal medicines emphasizes the relevance of the taxonomical identification of the used species, the same rigor is not applied to recording the processing methods. In other words, attention is given to the ingredients, but not the recipes. This can not only jeopardize the quality of research on traditional herbal medicines, but also generate concerns once such medicines reach the global markets in compliance with modern manufacturing requirements, which are usually well far away from the traditional ones. In the present work, different traditional herbal medicines used in the region of San Martin, Peru, were analyzed by the means of UPLC-UV/DAD metabolite fingerprinting. Different extracts were prepared from same commercially available materials in order to test the effect of the recipes on the chemistry of the finished products. In particular, different plant parts and their status (fresh or dry), extraction solvents and decoction times were selected for metabolite comparisons between the extracts. In accord with literature data on others traditional pharmacopoeias, our results show how specific manufacturing steps can affect the chemistry of the finished products. Further efforts are necessary to evaluate the traditional herbal practices, whether understandable or not, with modern scientific approaches. Published in Revista Cultura y Droga, 23 (26), 99-126, Julio-Diciembre 2018. DOI: 10.17151/culdr.2018.23.26.7. Objective This article aims to give an overview of the major American centers using traditional herbal medicine or their derivatives in the treatment of substance dependence. Methodology For the purpose of this article we have considered a small number of plants hailing from South, Central and North America. The research has been based on scientific literature, information exchange with treatment centers, internet searches and the personal experience of the authors. Results and discussion Results show the relevance of certain psychoactive plants well known also for inducing modified states of consciousness (MSCs) including Ayahuasca, Coca, Wachuma, Tobacco, Psilocybe mushrooms, Salvia divinorum and Peyote. Conclusions Plant based assisted therapy for the treatment of substance use disorders appear to be a promising field of research, although validation of the clinical outcomes need to be improved for the majority of the analyzed cases. Translated from Spanish. English version published by Takiwasi. Original publication information is as follows : MABIT Jacques, "Consideraciones acerca del brebaje ayahuasca y perspectivas terapéuticas", in: Revista Peruana de Neuro- Psiquiatría, Tomo LV, 2, pp. 118-131, Lima, Peru, june 1992. The water extract from Banipsteriopsis caapi, Psychotria vidris and Brugmansia ap., a potion generally known in the jungle as Ayahuasca, constitutes the central axis of curanderismo (shamanism) throughout the entire Amazon basin, due to its purgative and psychotropic effects. Anthropological, psychological and phytochemical studies demonstrate that, if it is properly administered, it can be advantageously used in the treatment of chemical dependencies and psychopathology. Our studies of Ayahuasca enable us to reach a number of conclusions regarding improvements in its method of preparation. Treatment of patients also indicates that therapeutic sessions are affected not only by the active ingredients (β-carbolines and tryptamines) of Ayahuasca, but also by the psychosomatic condition of the patient, by natural environmental factors, and by other factors controlled by the therapist. Article originally published in French “Le Reiki ou l’arnaque spirituelle”, November 2016. Translated in August 2017, to English from Spanish by Ken Symington. Reiki has been fashionable since the 1990’s and from the beginning of the century, developing with great speed in all situations. Our therapeutic experience shows us that It is one of the largest and constant sources of spiritual infestation. This spiritual danger is greatly ignored and underestimated, which is why it seems useful to transmit our experience regarding this theme and our thoughts about this social phenomenon, as a warning to those using it. Article published in Takiwasi's web page, September 2010. We propose in this article a reparation ritual for children who were not born because of a premature death provoked spontaneously or willingly. This extraordinary healing act was born from a particular experience that happened in the Takiwasi Center, in Peru, using a therapeutic approach whose origin we will explain. The clinical experience of three decades has shown us the serious and sometimes dramatic consequences of abortions whose physical, psychological, and spiritual effects are often silenced or underestimated in a great measure. The post-abortion syndrome is generally concealed or dismissed by the medical community. However, when the reparation is done correctly, the benefits in these three levels are evident. Published in the book “The Internationalization of Ayahuasca” Beatriz C. Labate and Henrik Jungaberle, eds. Zurich Switzerland, Lit Verlag, 2011, 446 pp. Through the interview with Dr. Jacques Mabit, director of the Takiwasi Center in Peru, the authors aim to elicit a comprehensive view of various health-related issues pertinent to the ritual consumption of Ayahuasca. In collaboration with this “local” authority, information regarding the preparation, proscriptions (diets), effects, and experiential integration central to Takiwasi’s use of Ayahuasca will be outlined. How Dr. Mabit views Ayahuasca’s possible healing qualities, contraindications, and “side effects” or adverse reactions is one of several aspects that will be covered. The interview also attempts to understand how medical and spiritual knowledge interact, via conflict and/or synthesis, within the decision-making processes of the Takiwasi Center. Lecture for Addictions “2000+1”, Challenges and Opportunities for a new Millennium, ISAM’s International Scientific Conference, Israel, September 2001. I’m a French doctor that has been living in Peru for the past 20 years. At first, I dedicated myself to sanitary development in primary health care. Through my professional practice in the poor areas of the country , I was able to discover the use of traditional medicine, still very much used, varied, of low cost and of grand cultural acceptance. Article originally published in Spanish: Rituales de la vida, cotidianos y sagrados, Foros internacionales. Espiritualidad indígena y Mundo Occidental, Sección 1, pp. 39-45, Ed. Takiwasi, 2017. Translated to English by Jonathan Rodriguez. The definition of rite is broadened when we speak of the ritual, because we are referring to a series of practices and attitudes that are related, marked or signed by some sort of symbolic value that generally finds sense or reason to be within the context of a group of humans – be it a religion or the tradition of some other community. Rituals are processes with specific actions, different from ordinary ones practiced in day-to-day life. These actions include objects or words invested in the possibility of modifying beliefs, relationships, meanings, or realities. Translated from Spanish to English by Mandeep Boro in November 2017, reviewed by Elena Salazar. Original title: “San Patrignano una visión angustiante de la sociedad del futuro”, 2014. In press by the Fundación Desde América, Buenos-Aires, Argentina. The negative connotation given to tobacco in contemporary society entails the risk of mistakenly considering this extraordinary medicinal plant almost a plague that needs to be eradicated. This stigmatization results from modern westerners’ ignorance about the correct and ritualized use of this plant, which from time immemorial has been considered sacred throughout the Americas. Published in the Newsletter of the Multidisciplinary Association for Psychedelic Studies. Attempting to cure drug addiction by the ritual use of ayahuasca, a plant beverage with psychotropic effects, might appear to be crazy or at least very daring. When Takiwasi (Center for the Rehabilitation of Drug Addicts and for Research of Traditional Medicines) was born in September 1992 in Tarapoto, Peru, the idea of the founders was to investigate and use in a systematic way the Amazonian healers' shamanistic knowledge to cure drug addicts. This applied research has now been underway for three and a half years seeking an efficient, low cost and culturally adapted alternative therapy. The initial results are encouraging. Published in “Yearbook of Cross-Cultural Medicine and Psychotherapy”, International Institute of Cross-Cultural Therapy Research (IIKT), pp. 257-285, VWB, Series Editor: Dr. Walter Andritzky, Berlin, Deutschland, 1996. The Peruvian Upper Amazon is the front of penetration into the immensity of jungle, and a space where several cultures meet. For centuries, the men of the deep jungle exchanged products, customs, techniques, and knowledge with those of the Andes or the Coast. In this Andean Piemont, today, in a larger scale, the indigenous ancestral cultures meet or confront the thousand faces of the modern Occidental culture. We have been living for nine years in this place in contact with Lamista and Chazuta ethnic groups situated along the Mayo and Huallaga Rivers. These groups are famous for their traditional magical healing ritual s and practices, which always inspired admiration and respect throughout the Amazonia. As an Andean inheritance, they talk Quechua but with features from the nearby Jivaro groups of the equatorial forest. Recently they started to produce coca leaves and its first derive, the cocaine paste, an extremely addictive highly toxic product./n The coca produced here is of great quality because c1imatological characteristics enable an average of 30% more alkaloids than the plants grown in other places. Consequently, Amazonian healers have been regularly visiting this region of the jungle (ceja de selva) in order to pick up medicinal plants of a superior quality. During this century, this area was exploited for the best curare liana, tasty coffees and the best tobacco of French national cigarettes Gauloises. Article originally published in Spanish, Takiwasi Magazine Nº 2, Takiwasi, Perú, October 1993 pp. 7-27. In the Peruvian jungle 'icaro' is the name for the song or melody used by the curanderos (most commonly used term to describe healers) in their rituals./n Lacking a literal translation in Spanish, Quechua, or other regional languages, in practice it has a very deep and important meaning : the shamanic song is a tool that cures, the wisdom and the vehicle for the curandero's personal energy, the symbol of his power./n Using the 'icaro' means 'charging' an object or potion with the power of the shaman, conferring upon it a specific property to be transmitted to the recipient, be it purification, protection, curing, harm or influence over the will-power. This is done by singing the icaro directly over the transmitter object or substance. The object is then given to the subject and ingested in the case of liquids (potions) or smoke blown over him if tobacco is used. The icaro is fundamental to the curandero's work in the Amazon. It embodies the knowledge of the shaman, constituting his curative patrimony, his working tool, and the inheritance of his apprentice. Being the vehicle for his energy, its effectiveness depends largely upon the curandero's preparation through diets, the taking of purges, his daily regimen and assimilation of ancestral knowledge. Translated from French by Kartina Amin. Original publication information is as follows: Mabit, Jacques. « L’alternative des savoirs autochtones au « tout ou rien » thérapeutique ». Psychotropes: Revue Internationale des Toxicomanies. Vol. 7, no. 1, 2001. pp. 7-18. Ancestral medicines respond to the clumsiness with which Western peoples induct altered states of consciousness with a highly sophisticated practical knowledge, according to which not only is the controlled induction of non-ordinary states of consciousness not harmful but it may even confront the modern phenomena of drug-addiction. From his clinical experience in the High Peruvian Amazonian forest, the author describes the therapeutic benefits of the wise use of medicinal plants, including non-addictive ones with psychoactive effects such as the famous Ayahuasca vine. The elaboration, within an institutional structure, of a therapeutic system combining indigenous practices with contemporary psychotherapy yields highly encouraging result (positive in 2/3 of the patients), pointing beyond the cultural context that produces drug-addictions and therapies. This invites us to reconsider the conventional approaches towards the universal notion of initiation. Forgotten in the West, this archetype seems to resonate with the drug-addict’s spiritual journey. Shaman’s Drum Journal, Number 73, pp.23-31, USA, 2006. The idea that psychoactive substances can be used to treat drug addicts may seem paradoxical to Western psychotherapists, yet there is growing evidence that the ritual use of plant medicines may provide one of the most effective treatments for people suffering from substance addiction.1 For more than fifteen years, my associates and I have been developing and testing an experimental rehabilitation program at Takiwasi, a residential center located in the Amazonian foothills of Peru, which actively incorporates the psychoactive beverage ayahuasca in the treatment of drug addicts. After having observed hundreds of addicts undergo hundreds of ayahuasca sessions at our center, we can affirm that the ingestion of ayahuasca—under controlled conditions of preparation, prescription, and psychotherapeutic follow-up—can produce surprising therapeutic benefits, with a total absence of dependence./n I first visited Peru in 1980 as part of a Médecins Sans Frontières (Doctors Without Borders) French program, working on a primary health care development project. I was immediately confronted with limited medical resources as director of the small rural hospital of Lampa, located in the Andean mountains near Lake Titicaca. For these extreme technical limitations, I saw myself obligated to call upon the local resources and I therein discovered the extraordinary richness of the ancestral healing practices of Peru, including Peru’s enormous reserve of medicinal plants. These Indigenous medicines revealed themselves as effective, low cost, and culturally adapted compared to the Western medicine I was proposing. I spent the next three years, from 1980 to 1983, in Lampa studying Indigenous medical traditions in southern Peru and their possible integration with western medicine. My work gave me an opportunity to meet and observe traditional curanderos (healers), and my experiences with them convinced me that they were surprisingly effective in treating many physical, psychological and psychosomatic illnesses resistant to conventional medicines. At the time, I didn’t fully understand exactly what the curanderos were doing, but I realized that the controlled induction of altered states of consciousness—with or without plant medicines—was a critical component of the region’s Indigenous shamanic and spiritual practices. I noticed that the curanderos practiced a holistic approach, working simultaneously on the physical, psychological, and spiritual levels. It was also clearly significant that these traditional healers operated within a highly effective healing system that provided participants with a sense of purpose. Published in the Newsletter of the MAPS Volume 6 Number 3 Summer 1996 http://www.maps.org/news-letters/v06n3/06327tak.html English translation by Jamie Moir. The patient's journey begins when he presents himself at the center for an explanation of the rules. As a preliminary test of his motivation, he must come to Takiwasi freely and unaccompanied by family members, every day for eight days. He will then talk to a therapist and take his first purges (milk of magnesia with coconut milk). Raw vegetable oil is taken to provoke biliary flushing. This vesicular cleansing is combined with an enema the following morning. This will prepare the first Yawar Panga, a detoxifying emetic plant which works on his energies and is administered within a ritual setting. This session is generally tiring (2-3 hours of vomiting) and is followed by a deep and revitalizing sleep. The patient notes an immediate improvement the following day, feeling cleansed and more clear-minded, encouraging him to persevere. The withdrawal symptoms are thus somewhat alleviated./n During this week, the cost of the treatment is discussed. The patient or his family is asked to contribute what they realistically can. The cost varies according to the center's running costs at the time. Really poor patients pay nothing at all for their treatment. Takiwasi has never refused any patient for lack of money. The most important element is the patient's motivation to stop taking drugs. Many initial contacts do not result in enrollment as after a few days, the drug addict does not return. If the future patient maintains his motivation and reports to the Center during one week, he is then admitted to follow the complete treatment as an inpatient. Article published in Takiwasi’s web page. Translated from Spanish to English by Diogerlin Linares. The high effectiveness of the therapeutic procedures used in traditional medicine is currently generating great interest in the Western world. Attempts are made to reduce the efficacy of these procedures, on one hand to the biochemical properties of plants and on the other hand, to the use of suggestive techniques by healers, which is why Westerners strive to learn these "techniques" without paying attention to the rigorous initiatory process, that is required to learn and practice traditional medicine. Lecture presented at the International Congress "Traditional Medicines, Interculturality and Mental Health" and published in Spanish in the book of memoirs, Ed. Takiwasi, 2012, Tarapoto, Peru. Translated to English by Jonathan Rodriguez. There are many psychotherapeutic approaches in place in Europe. Including but not limited to: emotional, behavioral, corporeal, psychoanalytic, and integrative therapies. They all claim to be the quickest and most efficient, but that does not change my point of view in a fundamental reality. When we encounter a problem, we have two ways to resolve it: either confronting it directly to understand its origin, or developing physically and spiritually with the goal of solving it, and through these means slowly being able to overcome the problem. 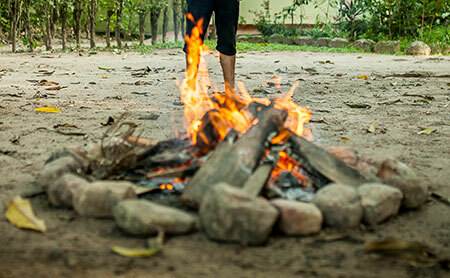 Traditional Amazonian Medicine combines both of these possibilities. It shows us that the human body is a vehicle of wisdom and knowledge. Article originally published in « Les plantes hallucinogènes : Initiations, thérapies et quête de soi », Christian Ghasarian & Sébastien Baud, Ed. Imago, 2010, pp 267-286. Over the last twenty years, the interest of the citizens of the so-called "modern" societies towards psychotropic plants, that are a tool to modify the consciousness, has increased to the point of becoming a social phenomenon that goes well beyond the border represented by academic community and scientific laboratories. This interest is an extension of the attempts at self-exploration begun in the 1960s in the face of the lack of convincing answers on the meaning of life coming from churches, philosophical schools, political projects and conventional psychotherapies. The desacralization that goes hand-in-hand with modernity considerably reduces the ritual spaces that favor a deep symbolic investment. First published in Spanish in 1998. “Memoria del II Foro Interamericano Sobre la Espiritualidad Indígena”. English Translation by Valeria Paz - April 2016. 500 years ago a misunderstanding occurred between the peoples of Europe and the peoples of the Americas. Today, what we are attempting to do is create spaces for true encounters between peoples. This has to happen by obligation through reconciliation, that is, the acknowledgement of mistakes made, the asking of forgiveness and the restitution of faults committed. Original article: “Hacia una medicina transcultural: Reflexiones y propuestas a partir de la experiencia en Takiwasi”, Published in Journal of Transpersonal Research, 2013, Vol.5(2), pages 49-76. Translated from Spanish by Fabio Friso, reviewed by Olivia Marcus. The current picture of medicines in a globalized world in crisis invites us to reflect on how different logics of tradition and modernity match or disagree in the field of health. Traditional indigenous medicine, where shamanism often plays a key role, appears at this juncture as a salient environment for the analysis and production of new models of health and well-being. This paper presents an explicit proposal for intercultural dialogue in order to open a transcultural paradigm for building a medicine to meet the new challenges of contemporary societies. The main elements of this proposal are necessary epistemological reflection, the analysis of the social reality and implicated power relations, ethics, and the logic of articulation and openness to the complexity of the human being and to life. Published in A Reader in Ethnobotany and Phytotherapy, Miroslav Horak, Mendel University in Brno, Faculty of Regional Development and International Studies, Brno, 2015, p. 48-57. This contribution explains the context and basic principles of traditional medicine of the Amazon. In particular, it focuses on the hallucinogenic vine ayahuasca, traditionally used by indigenous communities in the Amazon as a tool for healing, establishing contact with spiritual life, and for many other purposes. In the last decades, we observed a rapidly growing interest in ayahuasca among people from other cultures, who come to the Amazon to undergo the ayahuasca ritual. This contribution demonstrates ayahuasca’s psychotherapeutic potential, and shows the possibilities of using ayahuasca in structured therapeutic community for drug addicts, as in the Takiwasi Center’s case. Conference first presented during the VII International Congress of Traditional and Folkorik Medicine, Mérida, Mexico, Dec.1993, later increased in 2014. The ritual ceremony of Yawar Panga is a specific healing act originally from the High Amazon Basin of Peru, designed to operate a deep cleaning of the body of the participants. It consists in the ingestion of juice from the fresh leaves of a climbing plant identified as Aristolochia didyma S. Moore (family Aristolochiaceae), complemented with a ritual environment made of singing (ikaros), vitalizing blows of black tobacco smoke that the shaman directs towards his patient and the rhythmic sound produced by the beating of the shacapas (bunch of dry leaves of Pariana sp. ).